Books for Entrepreneurship: The Top 7 Books for Entrepreneurs to read in 2019. Listen if you want to succeed an entrepreneur, you need to read. You need to learn mindset, sales, sales copy, persuasion, how to negotiate and much more. 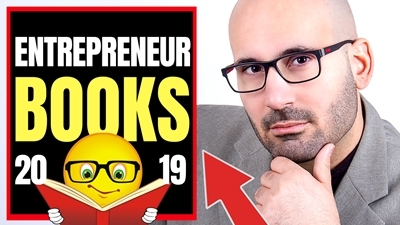 So in this video I am going through my top entrepreneurship books for you to read to succeed. I am also giving you a book for free to help you on your way to becoming an entrepreneur. No strings attached. Make sure you watch the video till the end because reading is vital for success and you need to read to succeed in life and business. Also, if you can (and you are actually reading this description) please share this video with someone that could use some reading in his life. I would really appreciate it.